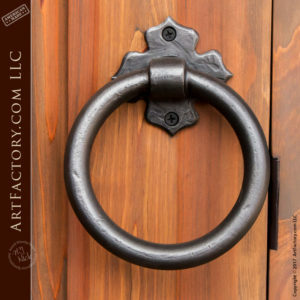 At ArtFactory.com, we have been specializing in the world's finest handmade doors, since 1913. Built from thick, solid, full length timber, our arched solid wood door can be built to any size. Our expert craftsmen ensure the style you seek is what you'll receive. All of our doors are hand hewn with mortise and tenon joined construction. This type of craftsmanship makes for a door that will stand the test of time. In fact, we guarantee our handmade doors to last forever. Each custom door entrance is thick, built to withstand any weather, and to exceed all hurricane codes worldwide. We brought the beauty of this classic interior door and completed the look with unique, diamond shaped wrought iron clavos. The custom escutcheon ring style door pull is solid wrought iron, hand forged by our master blacksmiths. Your door will provide the medieval or rustic look you've been seeking. Our dedication to old world design and techniques means your door is a piece of art you can feel proud to own. Our master craftsmen hand cut, hand sand, and hand finish, each and every door. Any of our custom designs can be built as either interior or exterior doors. 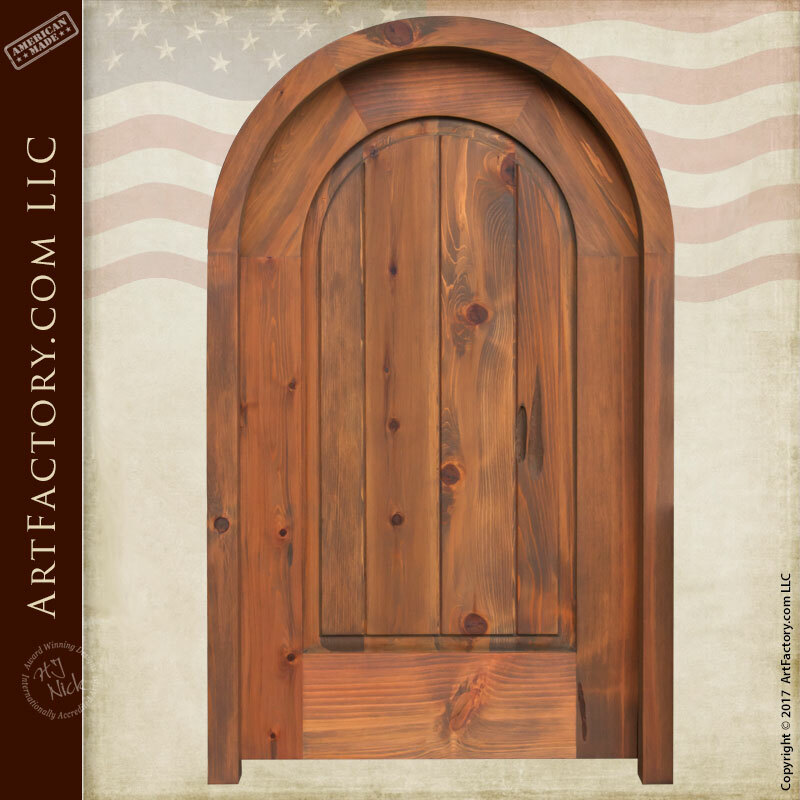 Give us a call today at 1-800-292-0008 for pricing on this arched solid wood door, or any of our other custom doors.